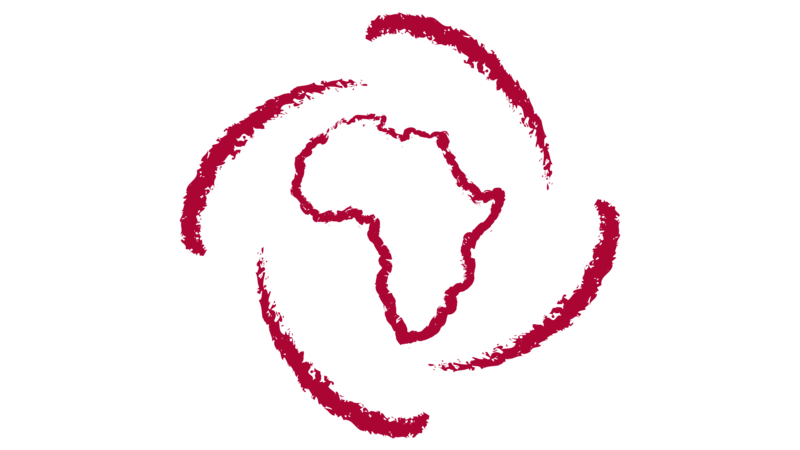 APF would host its East African Regional Meeting in Kigali. 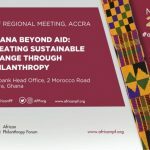 The event which will hold on Sunday, April 29, 2018 will engage established and emerging philanthropists, social entrepreneurs, social investors and industry experts. 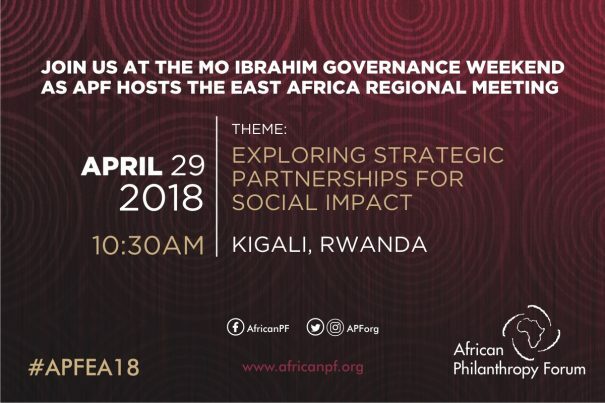 Themed “Exploring Strategic Partnerships For Social Impact“, the regional meeting will provide delegates with a platform to network, discuss and collaborate on innovative and tested strategies for scalable and sustainable impact. 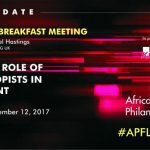 To RSVP, please contact us at apf@africanpf.org or call us on +234 (0) 803 729 1889.